Radiation Emergency Preparedness: Health Preparedness, What Should You Do t? When you think of radiation emergency preparedness....wait. We don’t think about it. It is not on the radar of most people. Even with all the movies about dirty bombs, the unfolding of the 911 tragedy and other events, radiation emergency preparedness is just not on the radar of very many people. Some who live in Washington DC are more concerned as there have been some articles about this from the nations capitol. If this kind of preparedness was simple, do you think it is something you should consider? The first and most important aspect of preparation is knowledge. You do not need to become an expert in radiation poisoning. You do not even need to become an expert survivalist. You only need to know what you need to do and when to do it. When preparing for a possible emergency situation, it's best to think first about the basics of survival: fresh clean water, salt (this is not usually considered but is essential), food, clean air and warmth. This is basically common sense things. What is not common is the most important protection from radiation, boosting your glutathione. The things that will help with this are essential. In the event of an evacuation, have a radiation emergency preparedness exit strategy. Some situations will require your evacuation. Why not be ready. Learn how to make this fun at the end of this section. Plan on what things you will take, including your first aid /emergency pack. Plan on turning off the heat and water to your house. This will prevent further damage if something should go wrong. If time permits and it is or will soon be winter, drain pipes, toilets, and washing machine. Add environmentally friendly antifreeze to the drains. If separated from your family and unable to get back to your home, have a near and far place to meet. The far meeting place could be several hours away. Sometimes it is necessary or you will be directed to stay in your home. It may become necessary to have a barrier between you and the outside environment, called "shelter in place." Plastic, duct tape and other tools to help seal your house from outside contaminants will need to be readily available. These will not cost very much and can be easily labeled and stored. More advanced preparations will involve getting a HEPA (High Efficiency Particulate Air Filtration) filter fan or fans or a portable air purifier. These filters will help with dust, mold, smoke and biological agents or other contaminants but they will not stop chemical gases. To get some protection for gas exposure, supplements that will boost your intracellular glutathione will help for minor exposures or may buy time if a major exposure happens and you can get to needed help. Water At least three gallons of water for each person in your home. One gallon per day per person at the minimum. Water does not keep well. Bottles need to be replaced at least every 6 months. Best to rotate your stock. Hydration Survival research suggests that you can live on as little as 32 ounces of water a day. To trigger a water conservation physiology, you will not drink for 24 hours. Then only drink the 32 ounces in 2 portions 12 hours apart. Note: We do not have any scientific research to back this up. It is based on the research available and our research on hydration physiology. The salt will continue to be at a ratio of 1/8th tsp per 16 ounces of water. Dissolve the water in your mouth so it can get into the blood. Food At least three days of non-perishable foods. Get foods that do not require refrigeration, preparation, cooking and preferably no water to prepare. Foods stored in metal or aluminum foil are the better choice. One month supply of glutathione boosting supplements or bio-active whey protein. This is perhaps the most essential. These will not be something you can get in an emergency. Necessary medical equipment like blood glucose monitors, BP cuff, etc. The mask is to prevent breathing particulates. If the air gets around your face mask, it is useless. It needs to be fitted or somehow modified to make sure it fits until you can get to an area where the air is safe. Durable power of attorneys (DPA) and DPA for health care, bank records, Passport, identification...have a water tight container to keep these in. Clothing depending on climate and needs. At least one change including shoes. Also a small measuring cup and medicine dropper. One part of water to 10 parts bleach can be used as a disinfectant for cleaning. Some have even used a slightly less solution to wash wounds when nothing else is available. Water can be treated by using 16 drops of bleach per gallon of water. Medicine dropper – When diluted nine parts water to one part bleach, bleach can be used as a disinfectant. Or in an emergency, you can use it to treat water by using 16 drops of regular household liquid bleach per gallon of water. Note: Do not use scented, color safe or bleaches with added cleaners for this. This need not be a major undertaking or expense. If you have ever been in a scavenger hunt, this is an opportunity for some family fun. Make your own list and start garage sailing to find the necessary items. What you can’t find buy at the store and put together your plan. And if life works for you as it has for so many, the things you plan for never happen. The things you do not plan for are what will face you. In addition to radiation emergency preparedness, consider these other aspects of radiation and the glutathione protection. Have a question? Like to share a thought? 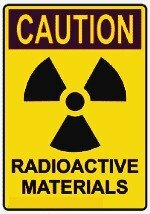 The information on radiation emergency preparedness is considerable. In time we will provide more. Any further questions related to the effects of radiation emergency preparedness that you would like to see covered, please contact us and make your wishes known. Please be specific in your request. This is very basic. Use your best judgment in making your own radiation emergency preparedness kit. Remember that perhaps the most important aspect is boosting your glutathione to protect yourself and loved ones.